Are you on the lookout for a 24/7 state-of-the-art gym in Salisbury? Then you'll be pleased to hear that we're about to open a brand new PureGym near you. Once we open, our great-value memberships will include unlimited access to the best gym kit and free parking. Plus, if you sign up today you'll pay just £10.99 a month for a year rather than the usual monthly rate of £19.99! Tempted? Read on to find out more. You'll find PureGym Salisbury on the Bourne Retail Park, which is next to Southampton Road Retail Park. We're across the road from B&Q close to Tesco Extra and next to Pets at Home. When it comes to gym classes, we've got you covered at PureGym Salisbury. Our Standard membership includes access to a massive 150 digital classes each week. That's not all though. You'll also be able to get moving in over 1,000 on-demand classes whenever the digital studio is free. 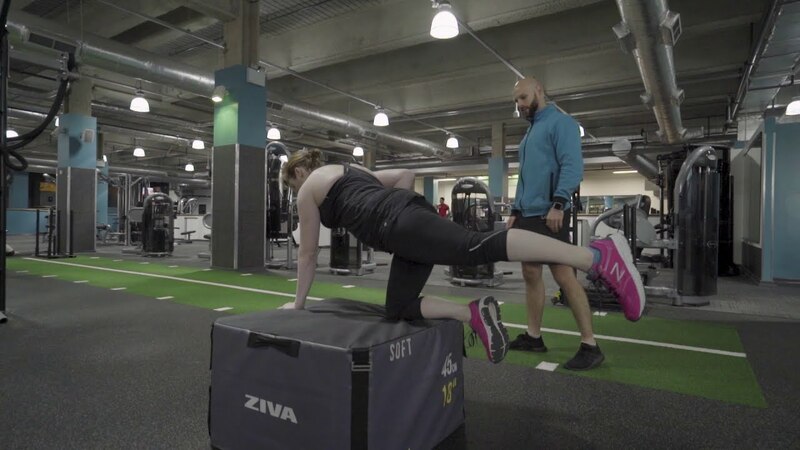 If you prefer a more personal touch to your group exercise sessions you'll love our Extra membership, which includes unlimited access to over 50 instructor-led classes each week. No matter what your fitness goal may be you'll be spoilt for choice at PureGym Salisbury thanks to our wide selection of cardio equipment, free weights, resistance machines and functional kit. Thanks to our 24/7 opening hours, you'll be free to visit PureGym Salisbury at any time. Before work, at lunch, after tea or in the middle of the night, we'll always be ready when you are. If you're tempted by the 24/7 access to fantastic kit and classes and free parking, here's another reason why PureGym Salisbury is the gym for you. Sign up now before we open and you'll pay just £10.99 a month for a year saving you £9 a month on the normal member rate. This offer is limited so join online today. Once we open, you'll find the gym next to Pets at Home on the Bourne Retail Park which is next to Southampton Road Retail Park. Members can park for free in the on-site car park. Just pop SP1 2LB into your Sat Nav. If you're driving from Salisbury, turn left into Bourne Retail Park, just before the turning into Tesco Extra. If you're driving from the East into Salisbury, take the second exit on the roundabout (turning into Tesco Extra) then take your first right onto Dairy Meadow Lane. You'll see us at the end of the road. The closest bus stop is located on Southampton Road where there is a regular service from 15 Park and Ride, 37, 68, 677, B5, C19, X7 and X7R. The closest train station is Salisbury Station, which is approximately 1.5 miles away.